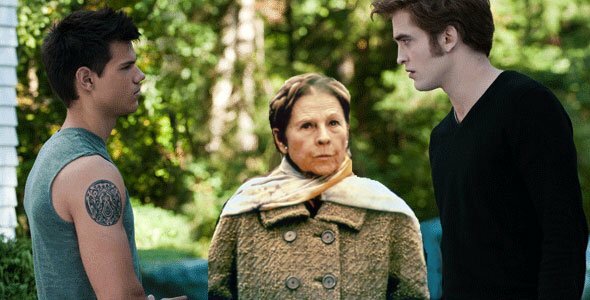 If you've read my review of The Twilight Saga: Eclipse, you'll know I've identified the one major problem with the series as a whole: Bella Swan. It's not just that Kristen Stewart is a terrible actress, but that Bella is the dullest, dumbest, and least compelling character to lead her own franchise since Luke Skywalker, and even he had Han and Leia to balance things out. Putting Bella at the center of the Twilight series essentially dooms it, meaning that no matter how interesting things may get on the sidelines, we're still stuck with this silly girl and her romantic issues. Well, I think we can fix that. After all, pop culture is filled with female heroines who have far more to offer, whether they're tough-as-nails warrior women with no patience for vampires and werewolves or equally shallow and obsessive girls who are at least willing to talk about their feelings rather than stare glumly into space. Below are ten of our suggestions of female characters who might make the Twilight movies-- and especially Eclipse and its battle scenes-- more interesting, and whether or not they'd be better off in these movies or their own. Check out our choices below, pick out your favorites, or feel free to suggest your own in the comments. Pros: Wouldn't put up with Edward or Jacob telling her what to do; would be useful in any kind of fight; would probably know better than to get tangled in this nonsense to begin with. Cons: Instead of learning about other cultures and respecting werewolf and vampire treaties, she'd taser everyone and bolt. Final verdict: It'd be nice to get someone so logical involved with the Cullens and the Wolfpack, but Lisbeth is so logical and secretive she'd know to stay far away. The Harry Potter series Pros: Would instantly become an expert on ancient vampire lore and know how to solve all dilemmas; even though she wasn't born a vampire or a werewolf, she'd be eager to adopt both cultures; knows from putting up with boys who just don't get it. Cons: Rather than helping out in battle, she'd be in the library until the last minute looking up solutions; so far as we know, an O.W.L. in potions doesn't cover stopping red-eyed vampires. Final verdict: Hermione has everything Bella Swan lacks, from a sense of herself to damn common sense. Leave Ron with the kids and come to Forks, please. Pros: Knows how to rule even the most unwieldy and rebellious groups; is totally used to having more than one guy pining over her and couldn't care less; doesn't get the whole supernatural being thing, but thinks sparkly skin would be totally cool. Cons: Wouldn't dare get her pink shirt dirty during a battle in case she couldn't wear it on Wednesday; worries that becoming a vampire would get in the way of losing 3 pounds before prom. Final verdict: Her manipulation skills are unmatched, but even Bella has slightly more brawn to offer. Pros: Wouldn't hesitate to cut down every single one of the newborn vampires; is so devoted to Big Daddy that neither Jacob or Edward could possibly catch her eye; could cut down a few inflated vampire egos with a well-deployed swear word. Cons: She's a little too young to handle all the romance thrown her way; throwing stars and bullets are usually as effective against vampires as they are against New York City gangsters. 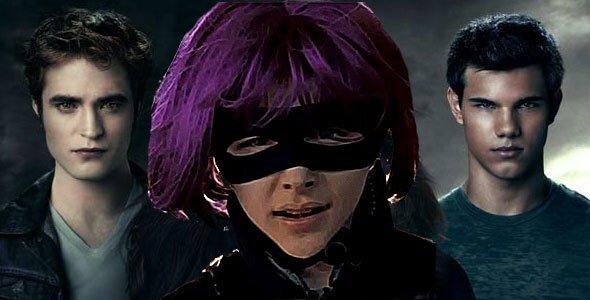 Final verdict: While she might be an inappropriate love interest for the male leads, that's probably a good thing; Hit Girl wouldn't just inspire Jacob and Edward to focus on the important threats to their lives, but would join in the good fight. 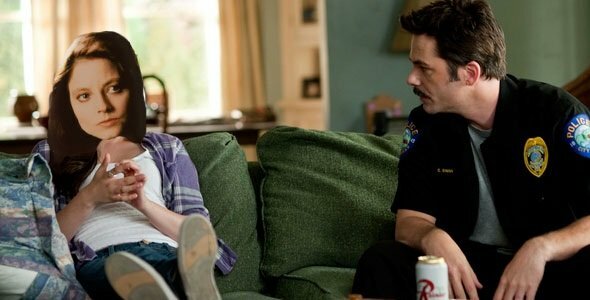 Pros: Is FBI trained to deal with sociopathic creeps, which makes her perfect to handle Jacob; she's cool and analytical like the vampires, which would solve that whole love triangle thing once and for all. Cons: Don't you think she's just a little too smart for all this? Final verdict: Her skills and common sense would definitely come in handy when debating with the Volturi, but I can't help but want something better for dear Clarice. Pros: Recognizes the need to pick a man but isn't so desperate to choose one that she'll opt for the undead; has grown up with four sisters, so she'll totally understand the female-dominated Twilight fanbase; understands that in time of crisis, there are still rules that must be followed. Cons: She's pretty bullheaded, just like the Bella we've already got; do we really want to ruin what she's worked so hard to create with Mr. Darcy? Final verdict: Lizzie may be better off in her own world, but she could at least teach Bella a thing or two about how to deal with troublesome men. Pros: She's a survivor, and can survive this too; her experience tells her to shoot foreign creatures first and ask questions later, which is definitely the right approach for those vicious newborns. Cons: Neither Edward or Jacob could possibly be man enough for this warrior woman. 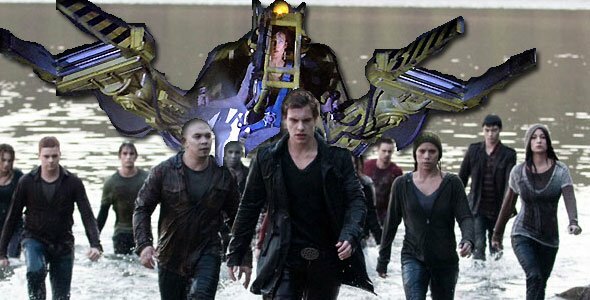 Final verdict: If she brings the Power Loader with her into the big battle at the end, it's worth her having to put up with the werewolf and the vampire. Pros: Has a well-documented taste for younger men; has such a desire to live life to the fullest that she might actually be able to take advantage of the immortal life of a vampire. Cons: Has no patience for young men moping, which counts out both Jacob and Edward; has seen so much of the world that a fight between supernatural creatures would seem pretty mundane. Final verdict: If she can have the same effect on the two dopey romantic leads of Eclipse that she did on Harold, she'd be quite welcome here. Pros: Has a perfect sense of fashion that Bella and her flannels could never match; totally understands what it is to be an outsider, and probably thinks she's supernatural anyway; as she says herself, "Blood does more than turn me on, Mr. Vader. It makes me come. And more than the sight of it, I love the taste of it. The taste of hot, freshly killed blood..." Sounds like a vampire to me! Cons: Werewolves and vampires may think they're weird, but they're probably not that weird. Final verdict: For those of us who think the Twilight series is too dull for its own good, Divine would be a much-needed shot in the arm, even if she wound up destroying the series entirely. Pros: Would actually talk out her feelings for Jacob and Edward rather than staring glumly into space; experienced as a single girl, she'd understand that there might be other options other than becoming one of the undead for Edward's sake. Cons: Might not be any less annoying than Bella; 4-inch heels aren't all that practical in the Pacific Northwest wilderness. Final verdict: She may be no better a female icon than Bella, but when it comes down to it, Carrie is the lesser evil.